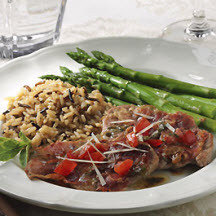 Looking for new ways to serve veal? You'll find some great ideas here. 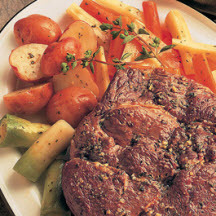 CooksRecipes has quality, kitchen-tested recipes for a variety of veal dishes that you can count on for accuracy and deliciousness. 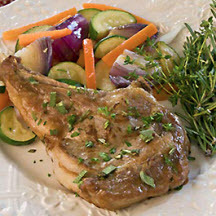 Grilled or broiled, these veal chops couldn't be more simple to season with fresh herbs. Choose your favorite to sprinkle atop after the first turn.